Binance Labs worked with true #BUIDLers of the ecosystem in the Incubation Program Season 1. Are you a BUIDLer? Apply Now to Season 2! As CZ shared in his year-end letter, 2018 was a hell of a year — for Binance Labs too. And of course — the year of #BUIDL. Since inception, Binance Labs team has been working under the vision of “Realizing the Full Potential of Blockchain Technologies”. One of our initiatives was the Binance Labs Incubation Program. 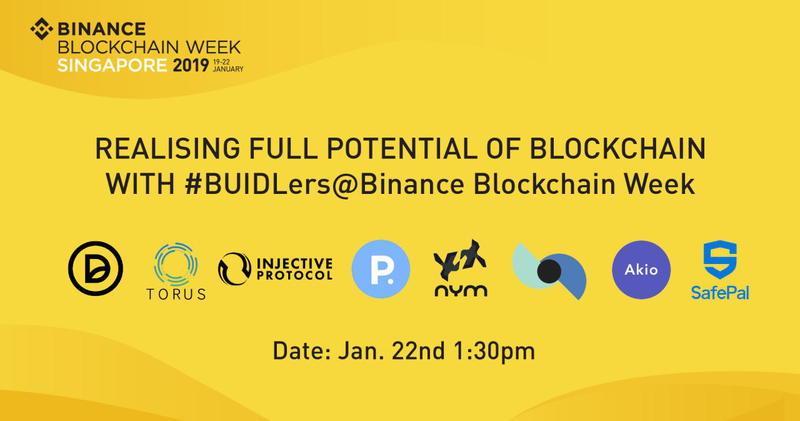 While many were frustrated by nothing being built in Blockchain, we were extremely excited to see how BUIDLers can #BUIDL working products and services with Product/ Market Fit in just 10 weeks at Binance Labs Incubation Program. Binance Labs Incubation Program aims to be the strongest network of BUIDLers in Blockchain. From October to December 2018, we had our first ever Binance Labs Incubation Program launched and run for 10 weeks. 8 amazing BUIDLers gathered up in San Francisco, coding day and night and talking to users every day. During the ten weeks, all teams worked under stealth mode to BUIDL the products they believe are most needed in the ecosystem. Binance Labs and the mentors provided all the necessary support — from startup formation, regulatory/legal advice, recruiting, technical execution, fundraising, to marketing/PR and other. Learn more about the Incubation Program through the video below. On December. 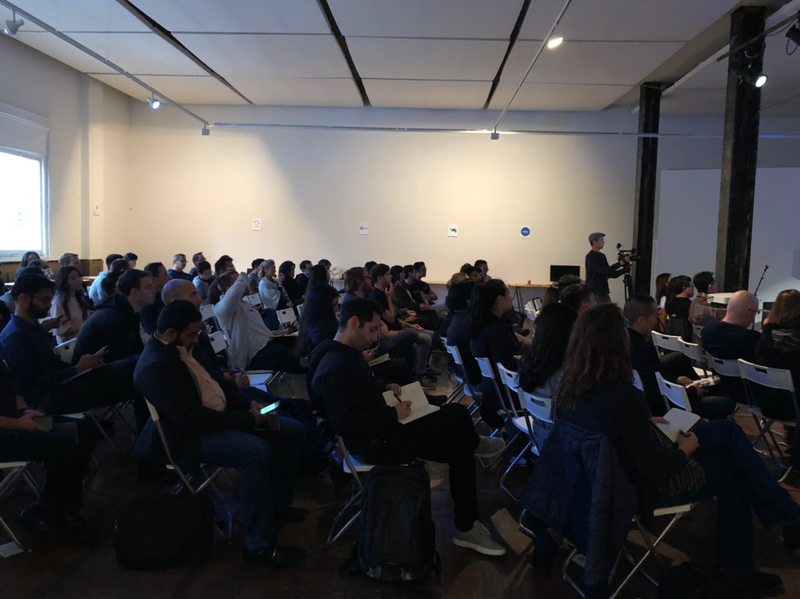 14th, Binance Labs Incubation Program held the first event called the #BUIDLers Day gathering up private investors and strategic partners in a small space in San Francisco. All 8 teams enjoyed speaking to these investors, and the investors were amazed to see how BUIDLers could BUIDL beautiful products. In January, all our BUIDLers were in the stage during the Binance Blockchain Week in Singapore, sharing their ideas to the public for the first time ever. We will be sharing detailed videos of Season 1 BUIDLers one by one everyday starting tomorrow. In this series, we’re revealing our 8 Binance Labs Incubation Program Season 1 teams and their projects one by one — based on their stories and experiences in the program. When running crypto native companies today, it’s surprising that there are no SaaS like Gusto, Quickbooks, Expensify, … etc available to crypto founders. Decore provides a full-stack software suite to make it super easy to run crypto native companies. if you’re still using Excel to track your crypto transactions and payroll, contact us at hi@decore.co. Making crypto easy. A powerful set of API interfaces into the disparate data sources of the crypto ecosystem. Instead of writing multiple interfaces into different exchanges or wallets, code to a single universal interface. Focus on product building and not data wrangling. Unlock financial innovation. Akio Labs is the easiest way to get insights from blockchain data. We help companies understand users and gather project insights so they can grow their businesses. We have paying customers using Akio to pull in smart contract events into their infrastructure so they can compute retention metrics, track user and project growth, and answer key business questions. SafePal makes the easiest and most affordable hardware wallets on the market. Our products are engineered with over 10 years of collective experience in consumer products, hardware design, sales and supply chain management at Tencent and Huawei. We leverage unique channels and go-to market strategies to boost distribution and mass adoption of our flagship SafePal S1 wallet. Injective is the first decentralized exchange protocol that eliminates front-running and allows for trustless liquidity sharing. We are building a new fully decentralized protocol for decentralized exchanges that resolves critical security and scaling issues including front-running, collisions and a lack of shared liquidity. The Nym Ecosystem allows service providers and application developers to build systems that respect user privacy. Our core building blocks include unlinkable authentication, zero-knowledge attestation, privacy-respecting reputation, and anonymous payments. For our first product, we are building a multi-currency wallet with very high protection for on-chain and network-level metadata. Torus lets users login to Dapps with their Google accounts, without the need for Metamask. Using cryptographic techniques, user keys are split across multiple servers, ensuring security and reliability. By improving UX for new users, Torus is the gateway sign-on solution for new users that are unfamiliar with the crypto ecosystem. Deaux allows anyone in the world to spin up a prediction market for their own target audience. The platform provides all the frontend and backend technology for launching the application, so each market creator can focus on reaching their end users. By combining off-chain order matching with on-chain settlement and custodianship, apps built on Deaux feature responsive UI without sacrificing decentralization. After the successful launch of Season 1 in San Francisco, now we are expanding our locations to 5 continents and 6 different cities. The expansion is to be on the ground, providing better access to diverse group of BUIDLers in the world and interacting with local developer communities. 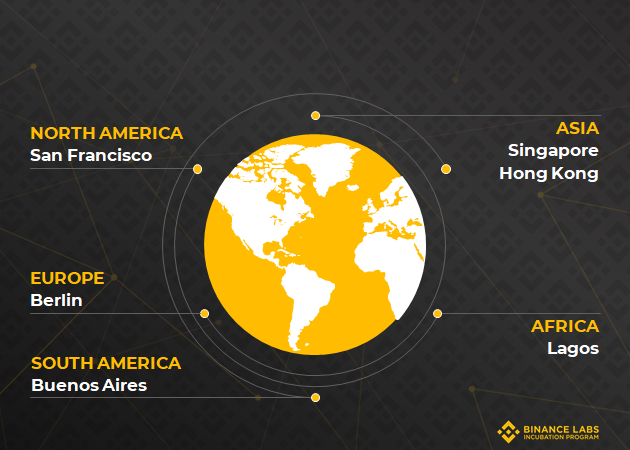 Binance Labs team is bullish about the different adoptions to be happening in different parts of the world, and thus welcome all the BUIDLers of the world to Season 2! 1. Application: Apply by Feb. 28th 2018 23:59 PT through the application link. 2. Interview: Candidates will be invited for a video interview. 4. BUIDLers Day: Teams will present their products to invited strategic partners and investors at the end of the program. 5. This is just the beginning of our journey. BUIDLing The Ecosystem Together. We are currently accepting applications for Season 2 at www.binancelabs.co. Apply here.